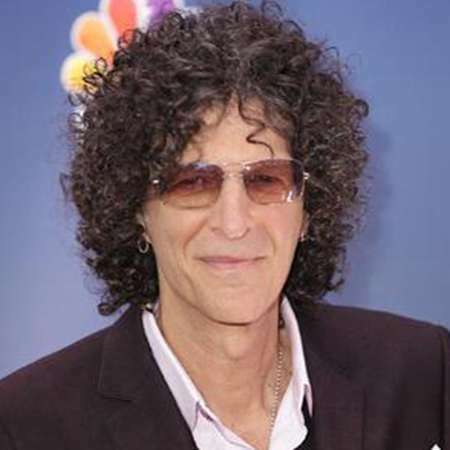 The Howard Stern Show host Howard Stern is a popular radio and television personality, producer and actor. The Howard Stern Show, which gained popularity as nationality syndicated show on terrestrial radio from 1986-2005. It has been broadcasting on Sirius XM Radio since 2006. Stern began his first radio jobs when he was at Boston University. His two books Private Parts (1993) and Miss America (1995) became the New York best-selling books of its releasing year. From 2012-15, he served as a judge on America’s Got Talent. He is one of the richest TV personalities in the world who has $600 million net worth. Stern has been married twice and has three daughters too. Howard Stern was born on January 12, 1954, in Queens, United States of America. Stern is the second son of Ray Stern and Ben Stern. He has an elder brother named Ellen Stern. His parents are Jewish. Stern is of Austrian, Hungarian and Polish descent. Howard’s mother was an office clerk before became a homemaker and father served in the U.S. Army in Long Island and California during the war. Stern’s family moved to Roosevelt, New York on Long Island when he was eleven. There he attended Washington-Rose Elementary School and later Roosevelt Junior-Senior High School. Stern was interested in radio when he was 5 years old. He was an infrequent radio audience during his youth. In June 1969, his family moved to nearby Rockville Center and transferred him to South Side High School when he was fifteen. He earned a Communications degree from Elmira College at Boston University. Howard Stern’s first experience working in the radio was with WTBU, Boston University’s radio station. There he played records, hosted interview programs and read the news. Stern built his on-air personality through morning shows at WRNW in New York, WCCC in Connecticut, WWWW in Michigan and WWDC in Washington D.C from 1976-82. He worked at WNBC in NYC for afternoon shows from 1982 till 1985 when he was fired. The show was developed in 1979 gained popularity from 1986 when it entered syndication. At its peak, the show aired in 60 different markets attracting 20 million listeners. Howard’s blasphemous content and outrageous ways made the show notorious. The FCC (Federal Communications Commission) issued fines totaling $2.5 million for the indecent content of the show making him the most fined radio host. Howard Stern received Nationally Syndicated Air Personality of the Year award from Billboard 8 consecutive years. In 2004 Stern was one of the highest paid radio hosts. The show is now broadcasted on Sirius satellite radio. Its debut on Sirius on 9th January 2006. Howard Stern’s popularity gained new heights soon after the release of his autobiography Private Parts a detailed, funny look at his life, that came out in 1993. The autobiography was put on the silver screen as a movie in 1997. He released his second book Miss America in 1995. The book was originally titled Getting Away with Murder had donned a cover photo that was him and O.J Simpson in Donald Trump’s wedding. At the time of its release, the book was the fastest selling book in publishing history. Howard Stern replaced Piers Morgan as a judge on America’s Got Talent for its 7th season. Howard Stern is one of the prominent faces in the field of acting and has also earned a decent amount of money from his prolific career. He has an estimated net worth of around $650 million, according to Celebrity net worth. And as per the same source, his annual salary is $90 million. He is one of the richest television personalities listed by Forbes Magazine. In 2017, he made $90 million from his career. Initially, he used to earn $12K annual salary and in 1982 he signed a five-year, $1 million contract with NBC which directly increased his salary these days. From 2012-15, he received $15 million in a year as a judge on the hit NBC reality show America's Got Talent. 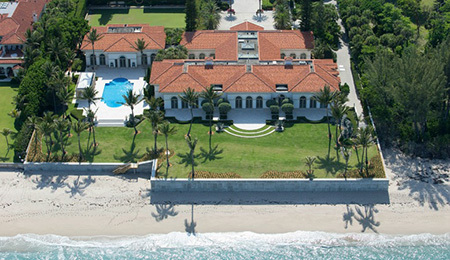 In 2015, Stern bought a house for $52 million in Palm Beach, Florida. The mansion has a grand total of 39,094 square feet of living space and also boasts five bedrooms. A renowned TV personality made an agreement signing a $1 million advance contract to publish his first biographical book, Private Parts with Simon & Schuster in 1993. The book was released on October 7, 1993. In December 2010, Stern signed a five years contract for $400 million with Sirius-XM. It was reported that he earned an annual revenue amounting to $302 million in the between 2006 and 06. Stern also owns a private jet to travel around anywhere. 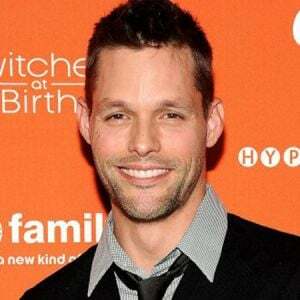 The renowned TV personality has also played a major role in movies like Private Parts which became the quite hit at the box office racking up over $41 million worldwide. 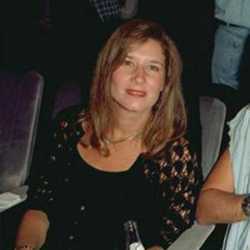 Howard Stern was first married to Alison Stern on 4th June 1978, at Temple Ohabei Shalom in Brookline, Massachusetts. They first met at Boston University. He used to study social work whereas Howard was pursuing his degree in Communications at that time. After some time, the two started dating. 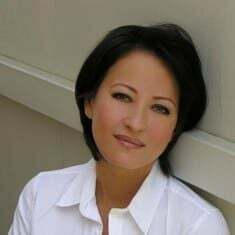 Alison Burns is an American homemaker and former actress. The couple has three daughters, Emily Beth, Debra Jennifer, and Ashely Jade. Howard and Alison separated in 1999 and divorced in 2001. They divorced because of his alcoholic ways Alison is now married to David Simon. At the time of their divorce, their daughter Ashley was just 6. Stern later dated Angie Everhart and Robin Givens before romantically involved in a relationship with Beth Ostrosky. Beth and Howard Stern got married on 3rd October 2008. His second wife Beth is also an actress, model, and animal rights activist. 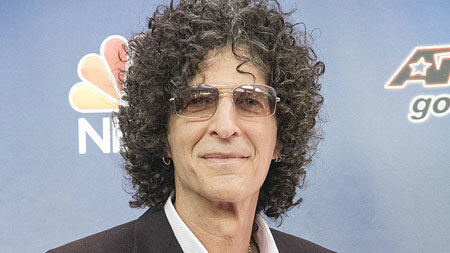 Howard Stern's age: as of 2019, he is aged 65 years. Stern's height: he has an incredible height of 6' 5" (1.96 m). Birth Name: Howard Allan Stern.